VAVEL becomes the media partner of Betrium, the first partly decentralized sports betting service offered worldwide now in ICO process. 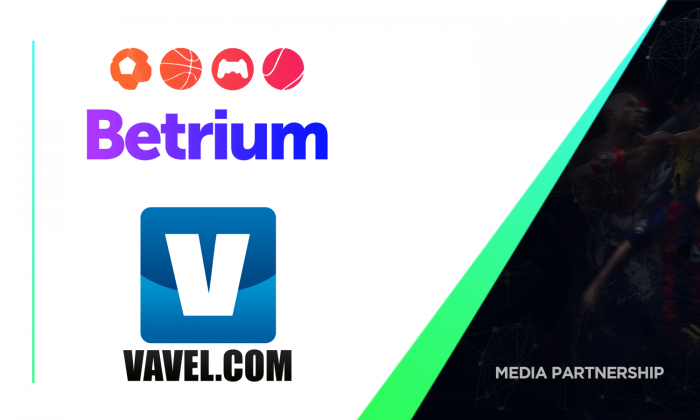 International sports media outlet, VAVEL.com, would like to announce their ground-breaking partnership with Betrium. Available in 15 countries and 5 different languages, VAVEL is setting the precedence for sports journalistic integrity around the world; publishing daily noteworthy and valued material. Through strong ethical values, VAVEL has become a dominant media outlet across all platforms. Betrium is the first partly decentralized sports betting service offered worldwide with zero-commission. Users place their bets using cryptocurrencies. Betrium offers a platform for event organizers, developers, and third-party betting service providers. “For VAVEL, this partnership with Betrium guarantees, our willingness to support and backup a project since its inception is called to revolutionize the sports betting industry from scratch given the brilliant idea of decentralizing the way to bet making it accessible globally without depending on different international laws and regulations,” said VAVEL Media CEO Javier Robles. "Betrium has been developed as a platform directly related to the international sports industry which depends on global sports events. We need to stay close to the people inside the industry and be aware of everything that happens worldwide," expressed Betrium CEO Maksym Suvorov. "Being available in 15 countries, VAVEL is a relevant global sports news source. Betrium is extremely glad to have VAVEL's strong media support and we are looking forward to a fruitful collaboration." Betrium and VAVEL will work together to expand the knowledge and reaches of their audiences; by tracking and following scores and outcomes of major sports and leagues.